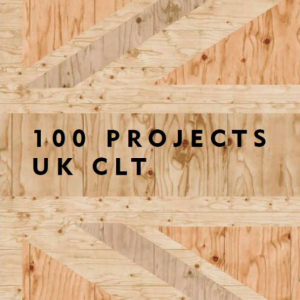 100 Projects UK CLT new book available for download. The benefits of cross-laminated timber (CLT) are clear: building in timber is quick, clean, and easy. It can be achieved with a measured accuracy and lack of noise, waste, or need for material storage space. This book, published by ThinkWood, is a study of the 100 of the most significant buildings constructed from CLT in the United Kingdom over the past 15 years. Authors Andrew Waugh and Anthony Thistleton of Waugh Thistleton Architects have contacted a wide range of individuals and businesses to interview them about their experiences building in CLT to help inform this book. To download the book from ThinkWood click here. For RIBA-accredited CPD information on building with CLT click here. Confederation of Timber Industries (CTI) ‘Reaction to fire’ and ‘fire resistance’. What’s the difference?